Nice and quite within trees, private and comfortable. An attractive place surrounded with nature, pond, clean, average size an suite and individual entrance at ground floor, patio, shared kitchen with separate entrance from outside. A walking distance to the beach ( approximately 10-15min). Perfect location - village of elite houses located away from the buzz of tourist center and close to the seaside park. The property location at the dead end of the village ensures that you will hardly meet any fellow travellers. Šeimininkai malonūs, vieta nuostabi, jūra netoli, miškeliu apie 15 min. Apartamentai puikūs. Geras poilsis garantuotas. Jei reikėtų apsistoti Palangoje - pasirinktume būtent šią vietą. Jaukiame kotedže radome viską, ko reikėjo viešnagei. Šeimininkai parūpino vaikišką lovelę ir šildytuvus, tad buvo ramu dėl mažiausiojo keliautojo komforto. Vieta taip pat puiki: rami kaimynystė, gražiai sutvarkyta aplinka, grynas oras, visai šalia botanikos parkas, jūra - kaip tik tai, ko reikia laisvalaikiui su kūdikiu. Понравилось место, понравился коттедж. Ухоженная территория вокруг, дорожка к пляжу через лес просто сказочная. Далеко от шума и толпы. Отдыхали с собачкой, никаких проблем, вела себя тихо, есть где погулять. Наши друзья снимали дом в центре Паланги, также проживали с собакой, жаловались на шум с улицы и реакцию собаки на посторонние звуки днем и ночью.... Рекомендую виллу для полного расслабления и покоя, для этого тут есть все условия. Хозяева, расположение, дом и прилегающая территория, мебель. Чистота домика, не перенасыщенность отдыхающими пляжа, парк. Все фото на сайте соответствуют действительности. До моря пешком с ребенком идти 15 минут через парк. Днем это плюс, вечером это уже минус, так как в лесу темнеет быстрее, чем на море. Наличие пруда это конечно красиво, но не позволяет оставить небольших детей без присмотра на улице. Labai geras kvartalas,jura arti pusynu,centras kiek toliau,bet su seima pats tas pasibuti,vaikam batutai,supynes,erdve gamtoje. Lock in a great price for Holiday Villa Palanga – rated 9.5 by recent guests! Holiday Villa Palanga This rating is a reflection of how the property compares to the industry standard when it comes to price, facilities and services available. It's based on a self-evaluation by the property. Use this rating to help choose your stay! 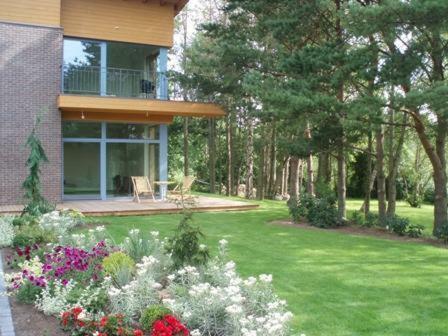 The Holiday Villa Palanga enjoys a very quiet location close to the Botanical Gardens of Palanga. It offers modernly furnished rooms and cottages with free Wi-Fi. The rooms of Holiday Villa Palanga all have a separate entrance, from a balcony or a terrace.Rooms feature cooking facilites, a fridge, a TV with satellite channels and a private bathroom with a shower. The villa is surrounded by nature. Next to the villa, there is a long bicycle path along the coast. The villa features a courtyard, terraces, a fireplace and a kitchen. 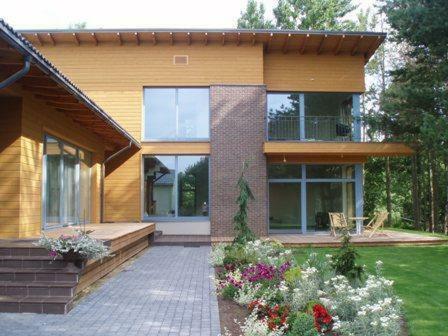 Holiday Villa Palanga is located within a walking distance from Amber Museum. The sea is only a 5-minute walk through a pine forest away. When would you like to stay at Holiday Villa Palanga? 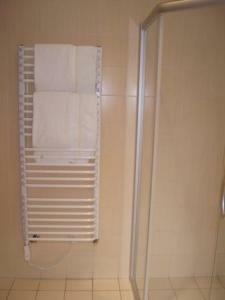 Modern mini cottages have a bedroom and a bathroom with modern facilities. There is a kitchen with a dining room and an outdoor terrace. 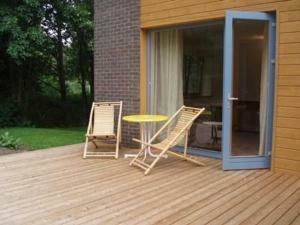 There is a barbecue and outdoor seating area with tables next to the cottage. 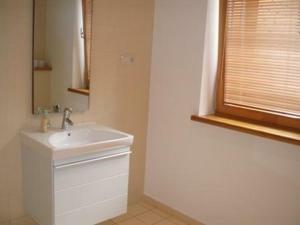 Modernly equipped double room with a private terrace or balcony.Each room has its own separate entrance from the outside. 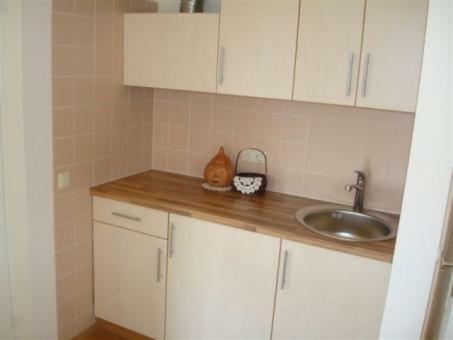 Conveniently equipped kitchen is located on the first floor, and is shared between two apartments. You can put an extra children's cot in this type of room. House Rules Holiday Villa Palanga takes special requests – add in the next step! Holiday Villa Palanga accepts these cards and reserves the right to temporarily hold an amount prior to arrival. Guests are kindly requested to contact Holiday Villa Palanga at least 1 day prior to arrival in order to arrange a check-in and key collection. Please inform Holiday Villa Palanga of your expected arrival time in advance. You can use the Special Requests box when booking, or contact the property directly using the contact details in your confirmation. Next time will choose a room with kitchen together rather than one that seperate to a bedroom. But it was still convenient as doors were kept open throughout warm weather. A bit too far from town centre than expected, requires really strong legs to walk this distance if not driving..as guests with a baby we were not asked about crib, but fortunately we practising co-sleeping so no problem here, however no spare towel for a baby, again luckily we had ours! Also we missed our rubbish to be emptied all three days as it collects pretty quick with all used nappies and stuff! The only drawback I can think of are house heating and water purification appliances located in the kitchen. If you are travelling with kids, who is willing to push all the buttons, you'd better keep them away. Thanks to dedicated lock, this is not problem at all.